In many emergency departments (EDs) in the UK, nurse practitioners manage at least half of all patients. In minor injury and urgent care units, almost all patients will be seen and treated by nurse practitioners. Despite the best efforts of individuals and NHS organisations, it is inevitable that, managing a large, complex and expanding clinical caseload, there will be several clinical complaints, and litigation. This does not suggest that the standard of care provided by nurse practitioners is suboptimal, it simply reflects the shift in the clinical workforce. Complaints and allegations of negligence are no longer directed primarily at our medical colleagues, with the average nurse practitioner seeing more than 3,000 patients every year. 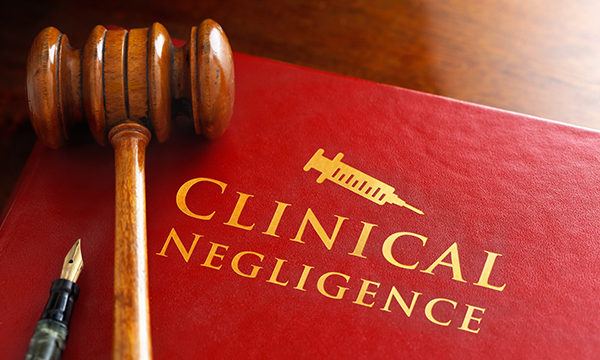 No clinician would wish to be the subject of alleged clinical negligence, but it is important to remember that almost all negligence claims are targeted not at the individual, they are aimed at the employing NHS organisation. Over the past few years I have been instructed to assist NHS Resolution (previously known as the NHS Litigation Authority) on behalf of NHS trusts defending allegations of clinical negligence. The types of cases commonly relate to clinical decision-making, diagnostic reasoning and treatment options. In most cases, the clinicians have documented exceptionally clear patient assessments, appropriate investigations, sensible differential diagnosis and logical treatment plans. Often, the allegations, usually involving a breach of a duty of care, are unfounded and if they got to court would not be upheld. While a nurse practitioner’s clinical documentation may be exemplary and entirely support ‘reasonable practice’ the personal impact on the individual can be significant. I have been saddened to see very competent nurse practitioners so distressed by the allegations and subsequent defence process that they have felt emotionally unable to proceed despite the cases being very defendable. Just being the subject of an allegation or complaint can be intimidating and frightening. All NHS trusts have good legal teams, willing and able to provide expert support and guidance to their employees, or former employees. Trusts have a duty of care to their clinical workforce. I would urge any nurse who finds themselves in this situation to seek advice from their local trust’s legal teams. Individual nurses should also keep their own defence organisations, such as the RCN, Medical Defence Union or Medical Protection Society appraised of any event.